The growing season for 2017 will bring about some promising new additions to John Deere‘s product line up. Available next spring is the new MaxEmerge 5e row units for a variety of Deere planters, including the mini-hopper and DB planters. MaxEmerge 5e row units will improve seeding population accuracy when it operating on a curve– up to 20 percent improvement in fact, along with eliminating a potential yield loss due to inaccuracies. 2017 will also bring changes to the John Deere T670 model walker combines. 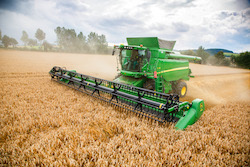 The machine will offer a boost to productivity with a greater threshing capacity and straw quality for baling. 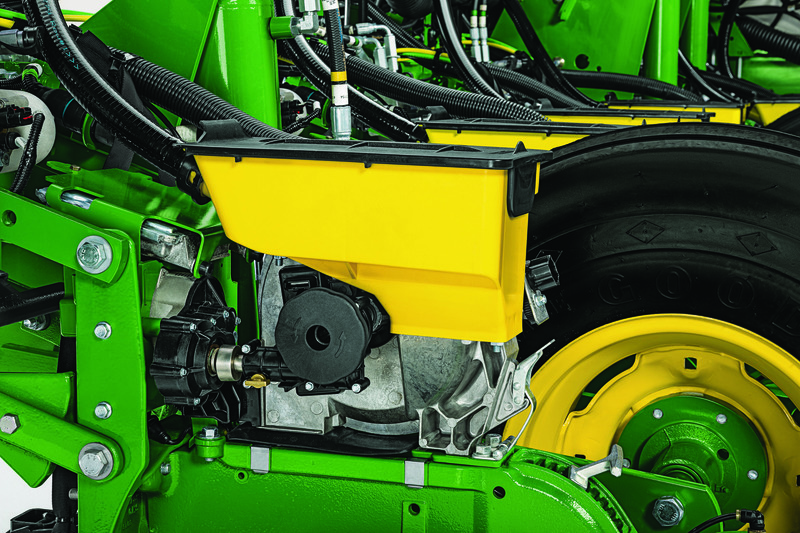 Deere also promises easier and less time consuming maintenance– benefits producers working in the rush of harvest time will appreciate! The machine can unload grain at 3.3 bushels per second, and offers easier access to service areas, with fewer filters to check and replace. The cab is spacious, quiet and comfortable. To learn about adding any of these updates to your farm, contact your local John Deere dealer.